Ready to start your employment journey? 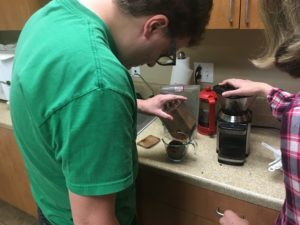 WorkAbility is an individualized and supportive employment program owned and operated by UCP of Southern Arizona (UCPSA) a non-profit organization dedicated to teaching and preparing people with disabilities for competitive, integrated, and sustainable work opportunities in southern Arizona. WorkAbility is having a new building Open House on May 3 4:00 pm - 7:00 pm -- Please join us! Donations made to WorkAbility/UCPSA qualify for the Arizona Tax Credit. Donors can receive a tax credit up to $200 for individuals and $400 for couples. The credit is automatic; no special form is needed. We value our donors! We have recieved multiple donations for a variety of our needs! Please visit our donor page by clicking the button below. Would you like to hire a person with a disability? Do You Want to Become a WorkAbility Job Coach? Click Here to learn more about the expectations, what being a Job coach means, and applying for a job! What does it mean to be a WorkAbility Partner? Fill out our partnership form Business Partnership Form. Check out our Partnership page.